Racing against time, three companions embark on separate, far-reaching quests. 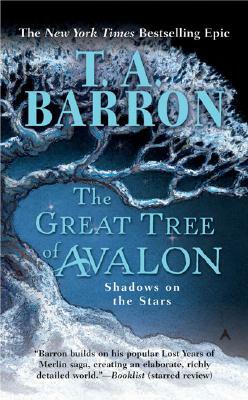 Elli must outwit a wrathful dragon and a deadly assassin on her search for a powerful crystal; Scree must confront the darkest secrets of his own past; and Tamwyn must journey into the heartwood of Avalon itself to discover the path to the highest branches—a path leading all the way to the stars. To succeed, they will need to solve Avalon’s most elusive mysteries. And they will need to travel vast distances—both in their world and in their hearts.